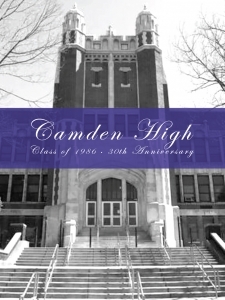 WELCOME to the Home Page of the Camden High School Class of 1986 Reunion website! Isn't it Funny How Time Flies When You're Having Fun? Here we are almost 30 years later! We hope to have as many classmates as possible attend our 30th Class Reunion which will take place in August of 2016. More details located on the Reunion Details page. Reach out to your fellow classmates and let them know that the 86ers are back on line! Update your info on the Classmates page! This will automatically update our guest list and allow us to stay in touch. Our goal is to keep the class updated as much as possible as plans develop. Don't forget to sign our GUEST BOOK to let us know you came by! When should we have our next Reunion?